2018 Trophy Holders - as presented at the Annual Dinner held at the Jolliffe, Kilmersdon . Somehow Richard Brimble managed to hide himself behind Colin Love (you can just see a bit of shoulders and ear sticking out). 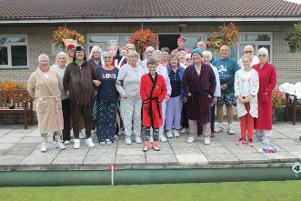 Saturday 23rd March at 10:30 am Prattens Bowls Clubhouse was very crowded as the pre-season meeting was held. There were a few missing due to holidays and at least one person working (yes a few of our members still do) but we were pleased to welcome five new members to the fold (3 men and two ladies). Before the club business commenced there was a minutes silence to commemorate the recent deaths of two people associated with the club . This was immaculately observed. As well as the usual committee reports there were a few changes for the new season to announce. 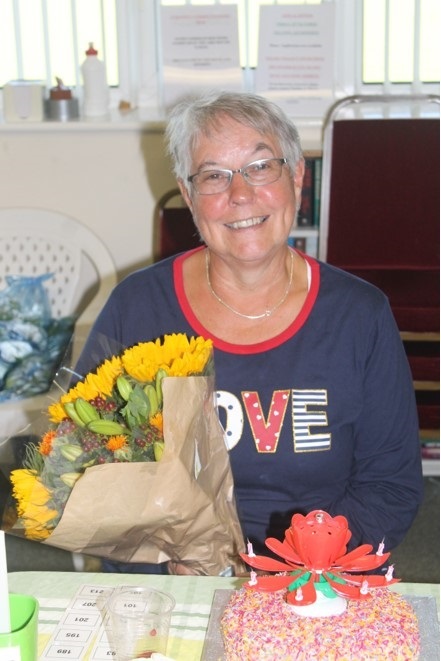 The success of our Ladies pair (Pauline and Chris) in winning the Somerset Ladies competition as well as the promotion of the Men's team in the Somerset League was also noted. This was followed by the usual rush to pay membership fees and sign up for games on the availability sheets as well as the chatter of members who had not seen each other since the end of last season. Please note that the green will be officially open on April 14th (see Fixtures list) and anyone else interested in joining will be warmly welcomed. 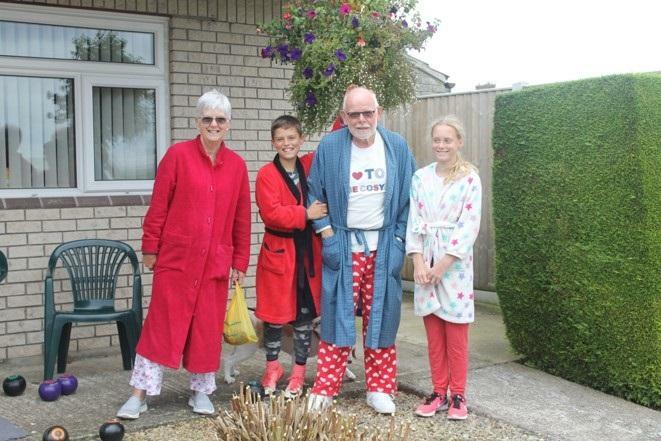 It was decided that Captains Day should have a theme of nightwear and, as you can see, everyone entered into the spirit of the day and had a great time. 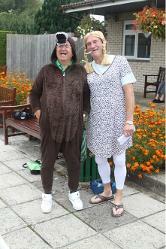 It was also the birthday of the Ladies Captain (Chris Love) . 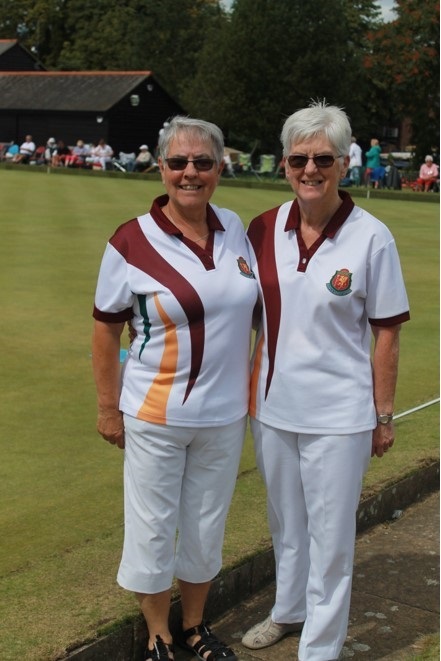 Prattens Bowls Club wishes to offer the warmest congratulations to two of our lady members, Pauline Dando and Chris Love, who have reached the final of the Somerset Ladies Pairs competition. This also qualifies them to play in the pairs at Leamington where they will be known as Somerset A.
Update -They enjoyed their visit to Leamington and the support from a number of Prattens members who attended but, unfortunately, they were unsuccessful on this occasion (see the picture below taken at Leamington). As previously reported, Pauline Dando and Chris Love reached the final of the Somerset Ladies Pairs and now (September 2017) the final has been played and they WON so they are now officially the Champions.